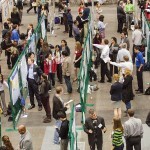 Hundreds of undergrads presented their research and viewed work conducted by their peers at other universities at the Chicago Area Undergraduate Research Symposium April 6. What’s the best way to describe UIC Radio programming? Diverse. 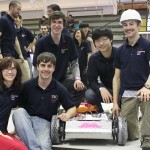 Robots designed, built and operated by UIC engineering students defeated five other teams. UIC students will dance for eight hours straight April 6 to raise money for patients at the Ann and Robert H. Lurie Children’s Hospital of Chicago. 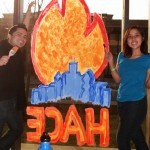 Students paint the campus and hustle up University Hall for Spirit Week. 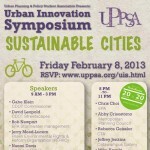 A student-organized event Friday brings together a diverse group of pioneering professionals presenting innovative approaches to making cities more sustainable. 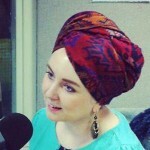 Nidal Ibourk has traveled across the globe, performing her music to an international audience.